This is what a journalist in Santiago de Cuba told IPS, as she described at least one positive aspect of the collective reactions after a disaster like the one suffered by this eastern Cuban city on Oct. 25, when Hurricane Sandy, despite the weather alerts and government warnings, caught a large part of the population off guard. The estimates of economic losses caused by the storm in eastern Cuba have not yet been published. But the damage was severe, and 11 people were killed. But there is another, less-noticed, dimension: the psychological impact, which can be seen in people’s eyes when they talk about losing everything – their homes, their furniture, their household appliances, even their memories. “I was really scared. I crawled into a cabinet when the wind tore the roof off my room. My neighbours pulled me out of the house and helped me cross the street to where other families whose homes were also damaged had taken shelter,” 70-year-old Isabel de la Cruz, from the city of Guantánamo, which was also hit hard, told IPS. Depression, anxiety, despair, irritability and aggressiveness are all symptoms shown by people around the world who have gone through a natural disaster. “Just think, we fell asleep with the beauty and woke up with the beast,” said a local resident who worked in a hotel that was totally destroyed by the storm. “People are depressed and disoriented,” said Father Eugenio Castellanos, the Catholic priest at the shrine of Our Lady of Charity of El Cobre, Cuba’s patron saint. “I have noticed psychological imbalances because of the losses suffered, in more than a few people,” he told IPS. The priest estimated that 90 percent of the homes in El Cobre, a village near Santiago de Cuba, felt Sandy’s impact. Juan González Pérez told IPS that in the days after the hurricane, there were outbreaks of violence in some areas, especially when people stood in line to buy basic products that had been scarce. In Mar Verde, a beach neighbourhood where Sandy made landfall 15 km from Santiago, Dr. Elizabeth Martínez has provided assistance to more than 100 people who are being housed in summer cabins that were not destroyed because they are set further back from the shore. “The psychological impact is huge. But no one here was killed, and no one is sick,” she said. After the hurricane hit, healthcare efforts were mainly focused on preventing epidemics from breaking out. “We are holding meetings on health in the neighbourhood, teaching people how to avoid transmissible diseases, and about the importance of purifying water before drinking it,” she said. According to experts, between one-third and one-half of any population exposed to natural disasters suffers some kind of psychological problem, although in the majority of cases it would be considered a normal reaction in the face of extreme events. But because of the impact of climate change, weather events like hurricanes threaten to increase in intensity. “When I found my neighbours in the lower floors, we were in shock. But someone said: ‘We’re going to get into the entryway that is blocked by these fallen trees,’ and we started working, although at first no one was talking,” said one woman who works in the tourist industry. In the first few days after the storm, many people were on the streets removing rubble and cleaning up. Due to the greater frequency and intensity of tropical storms, health authorities in Cuba began to focus in the 1990s on the psychological impact of hurricanes and other natural disasters. In 2008, when the country was hit by three hurricanes, the government ordered that more attention be given to the question by health authorities. In an article on the issue, Dr. Alexis Lorenzo Ruiz explained that psychological and social aspects of disasters are taken into account, both in the training of personnel and in the organisation of health programmes that reach the entire country, with an emphasis on the most vulnerable sectors, such as children, adolescents and the elderly. From a mental health point of view, in natural disasters, the entire population “suffers tension and anxiety to a greater or lesser degree, directly or indirectly,” Katia Villamil and Orlando Fleitas wrote, noting that the impact in such circumstances is more severe among low-income sectors. The two professionals said the most frequent reactions ranged from “normal” ones, like manageable anxiety or mild depression, to emotional numbness, exacerbation of pre-existing psychiatric conditions or post-traumatic stress disorder. 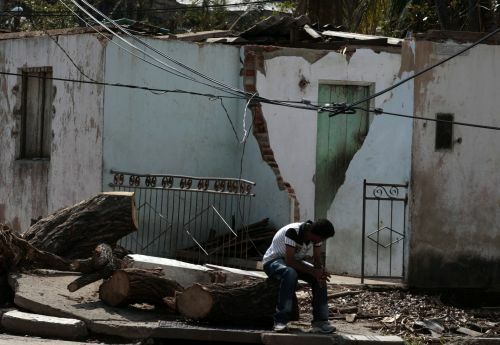 Hurricane Sandy caused damage not only in Santiago de Cuba but also in the eastern provinces of Guantánamo and Holguín. The government of Raúl Castro has not yet announced the amount of economic losses, although preliminary, partial figures released a few days after the storm mentioned an estimate of 88 million dollars.